In general I recommend to design the circuit and especially the debug circuit as it is on an evaluation board (e.g. Freedom or Tower board). Make sure you have one (better two) ‘reference’ board of your microcontroller ready, so if something goes wrong, you have a working example. Additionally have a good dedicated debug probe (e.g. P&E or Segger). They usually are better on the electrical side and many times they were able to connect to a ‘on the edge’ board where low-cost debug solution failed. Visual inspection of the board. Does it look right? Make sure the board is clean (solder paste, solder, cleaning fluids). Check traces: no shortcuts? We are using lasers and milling for internal boards, and there we face problems with copper still between the traces, or low-resistance between traces because of unclean boards (see “Learning from Failure: QFN Package Corner Problem“). This log has all the GDB/mi commands and gives insights what gdb is doing. The content might look a bit cryptic, but it basically reports all the commands gdb is executing. In above example I had a watchpoint set to an address which does not exist on the target. Which helped me to find out what FreeRTOS was not shown up with all its threads, because the RTOS plugin name/path was incorrect. Or it told me that the target voltage was 2.5V and not the expected 3.3V :-(. 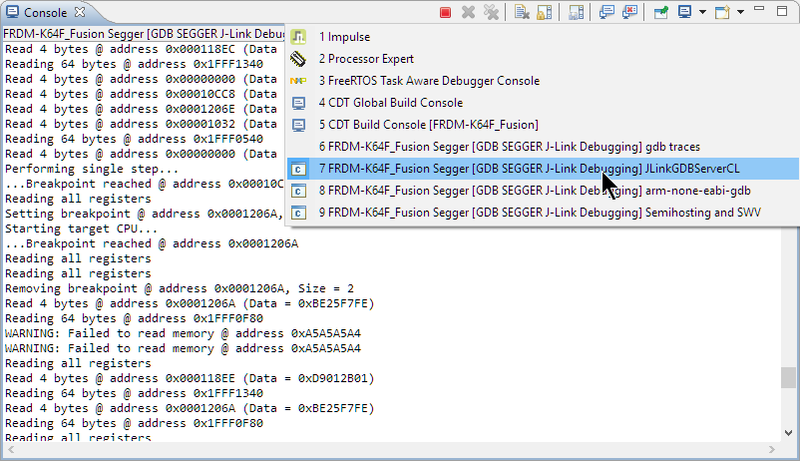 For example if I think that the debugger is reading some memory it should not read from, then this view should be able to tell you this. To me, bringing up the board the first time is always an inflection point. There are a lot of things which can go wrong. And in that case any piece of diagnostics can help to nail down the problem. And if for myself I cannot spot the problem, I can copy-paste the logs and send it in as part of my problem description/bug report (if any). So this information was always helpful to me. And it helped me a lot to see and understand what GDB is doing in the background too. If you have any other tips and tricks around GDB and board bring up: let me know and post a comment! 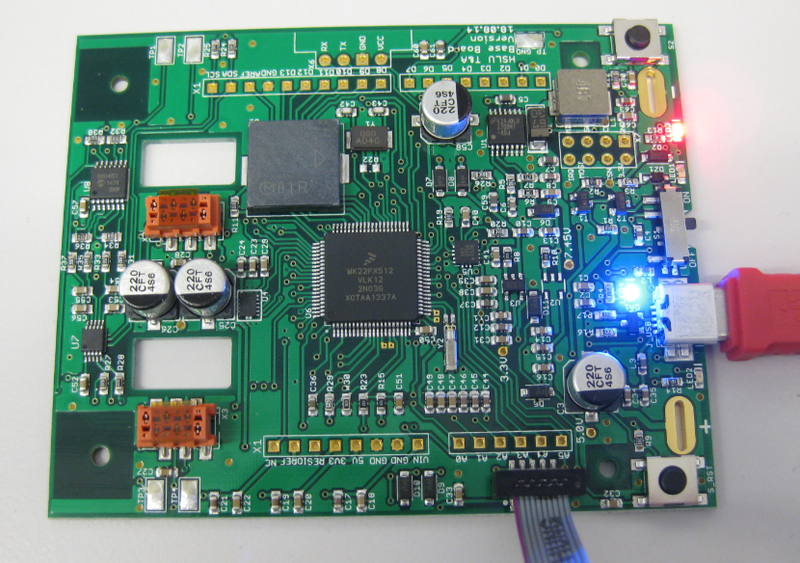 This entry was posted in ARM, Boards, CPU's, Debugging, Eclipse, Embedded, Freescale, KDS, Kinetis, NXP, Tips & Tricks and tagged Debug, Debugging, Eclipse, Freescale, GDB, NXP, OpenSDA, P&E, Segger by Erich Styger. Bookmark the permalink. I can’t find GDB, but only C/C++ > Debug > GDB MI. Is it the same? 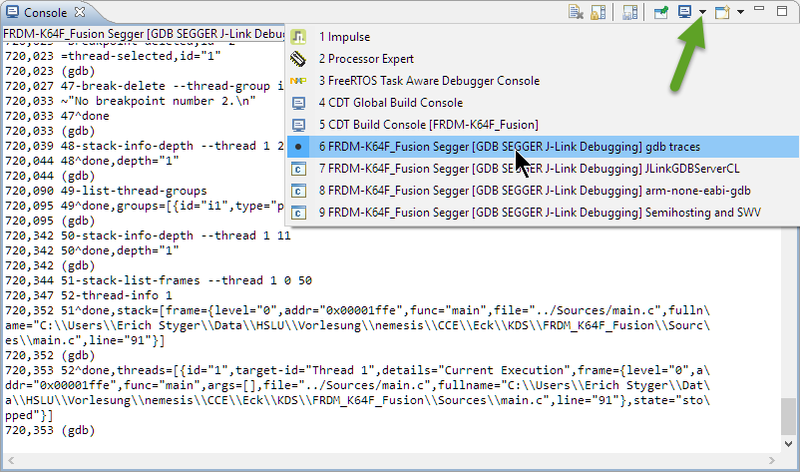 Debugger timeout (ms): 10000, Launch timeout (ms): 30000 and a “tick” at the Automatically Refresh modules checkbox. that depends on the CDT/GDB you are using. 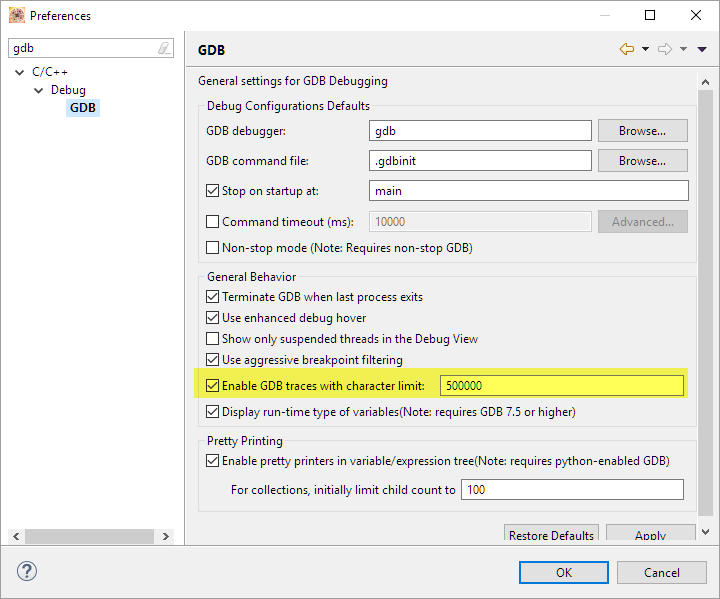 If you are using the standard Eclipse+CDT at least in Kepler/Luna, then you should see just ‘GDB’. Are you using Kinetis Design Studio? If yes, then you should see exactly that dialog.